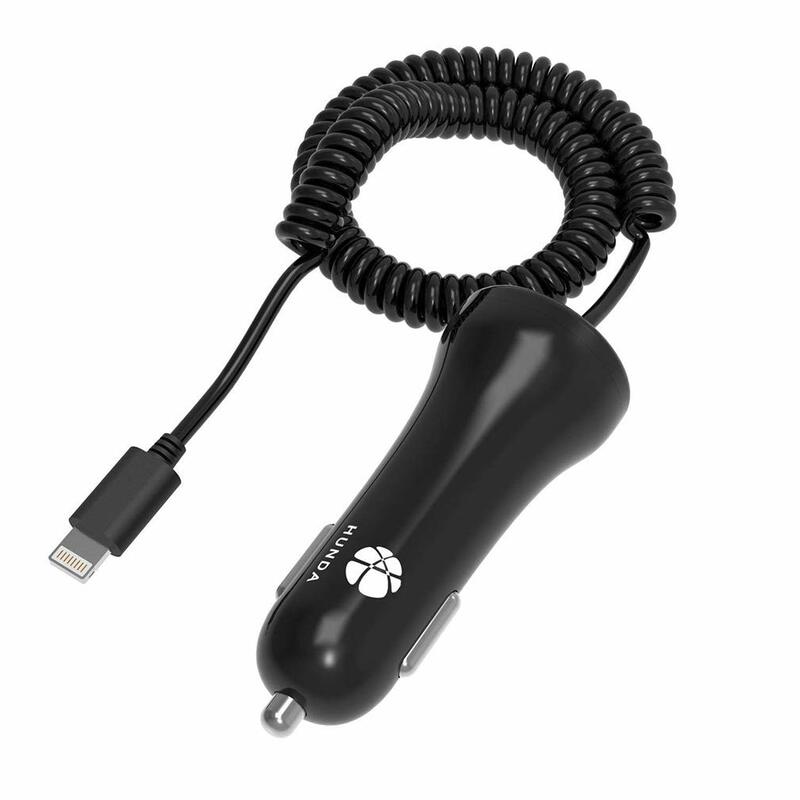 1)Built-in Flexible Lightning Cable – The coiled lightning cable keeps the vehicle organized without a cord hanging, charging your iPhone 6S/6 Plus, iPhone 6/6S, iPhone 5S/5, iPhone SE, iPhone 5c, iPad Air, iPad etc. 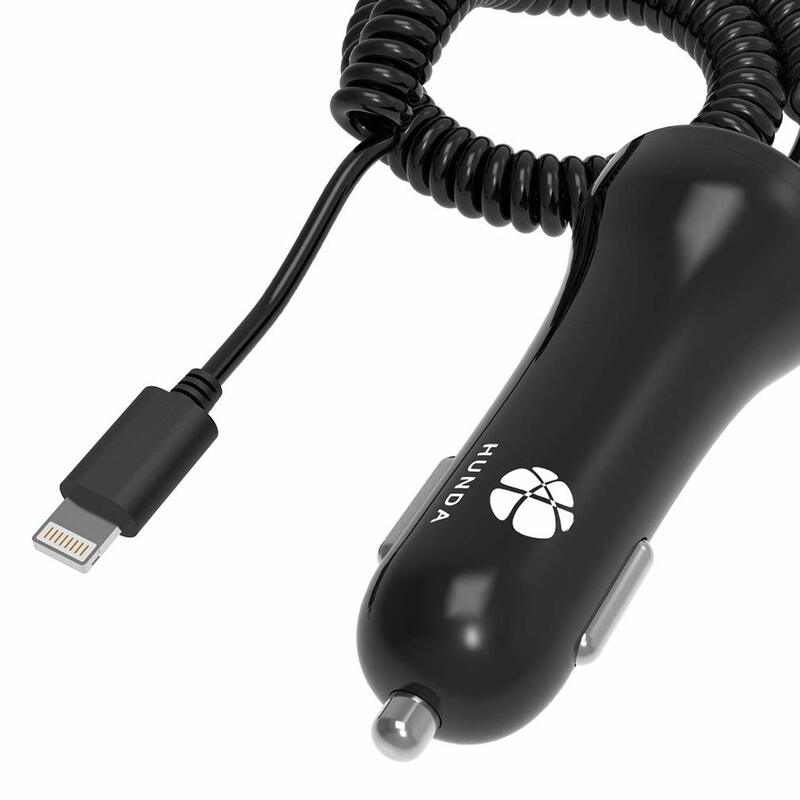 2)One Extra Universal USB Port – The USB port enable you plug in a longer USB cable to charge your Samsung, HTC, Blackberry, Motorola, Camera, Nexus 5X etc. 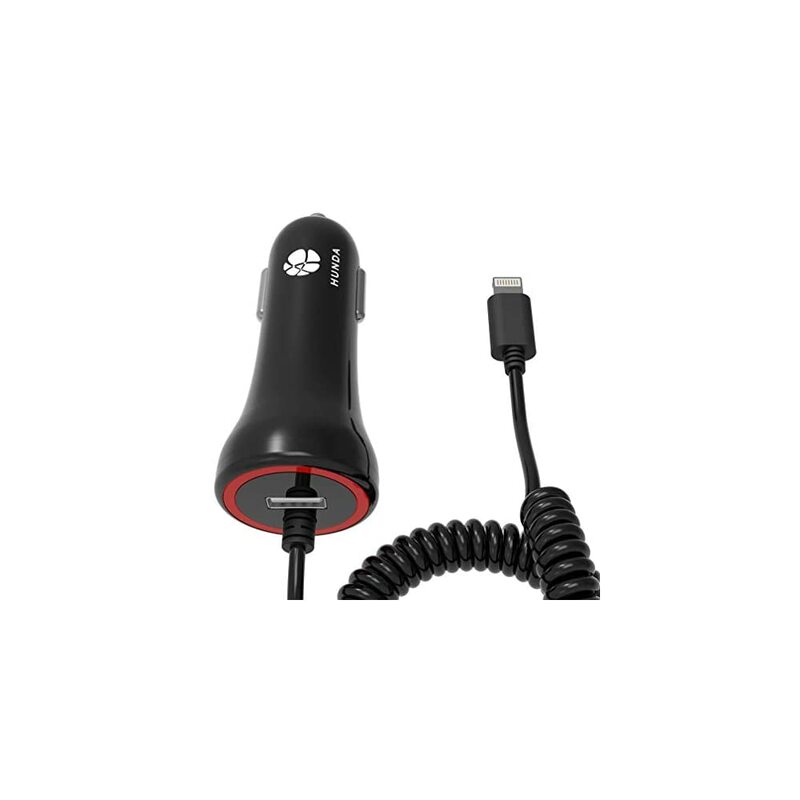 3)24W/4.8A High Power Supply – Provide the fastest possible charge up to 4.8 amps or 2.4 amps per port to charges 2 compatible devices simultaneously on road. 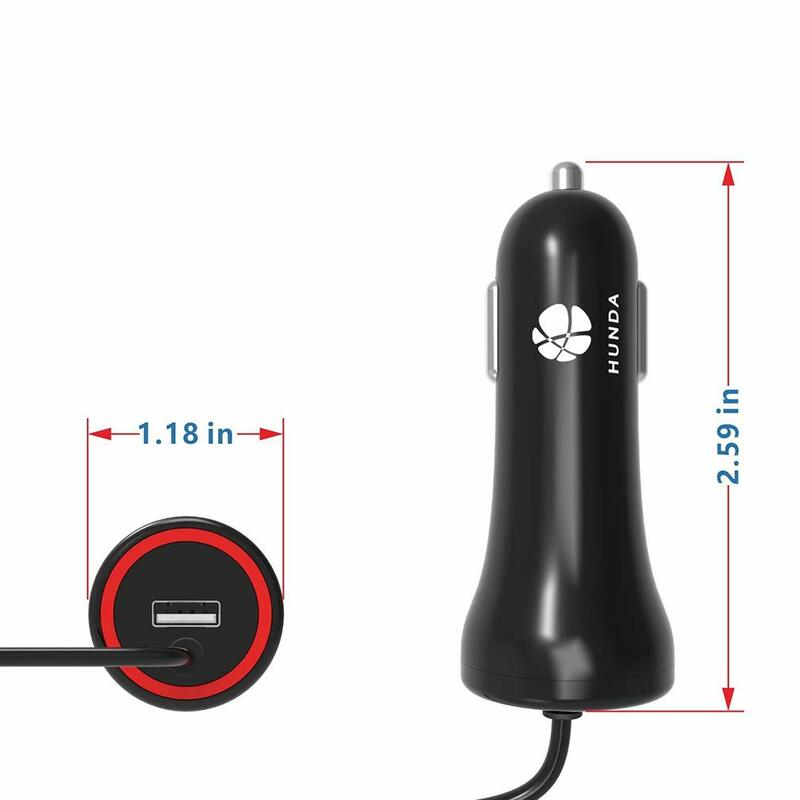 4)Protection Against Over-heat, Over-current, and Over-charging – HUNDA’s multi-protectection safety system ensures complete protection for you and your devices. 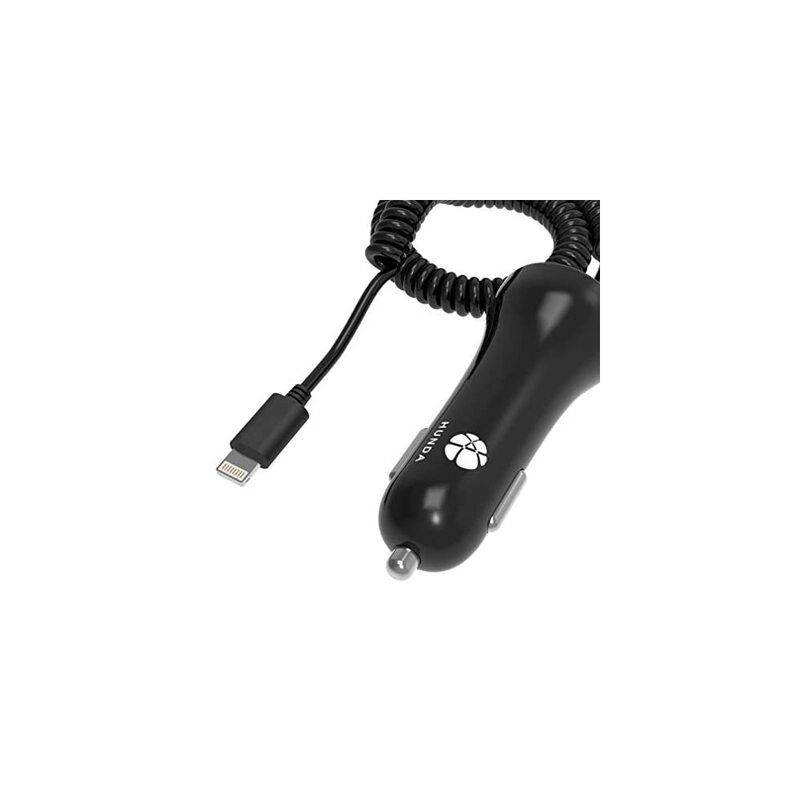 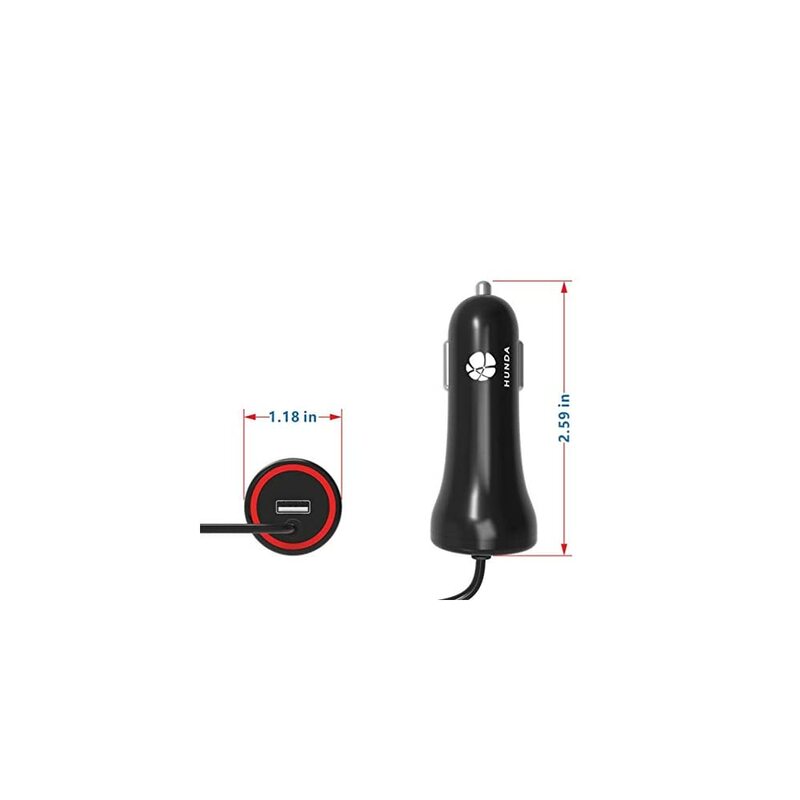 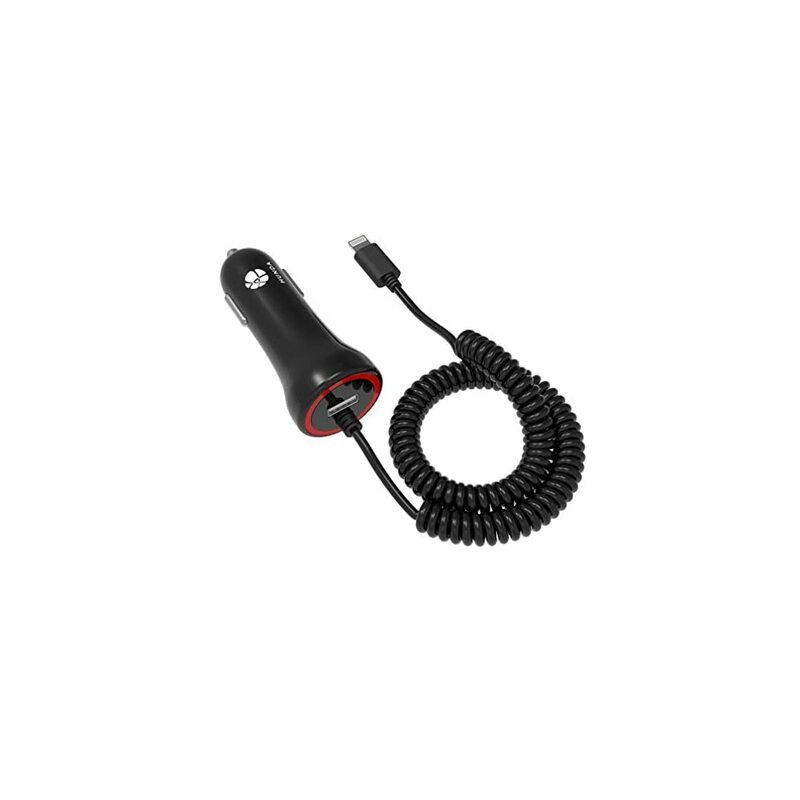 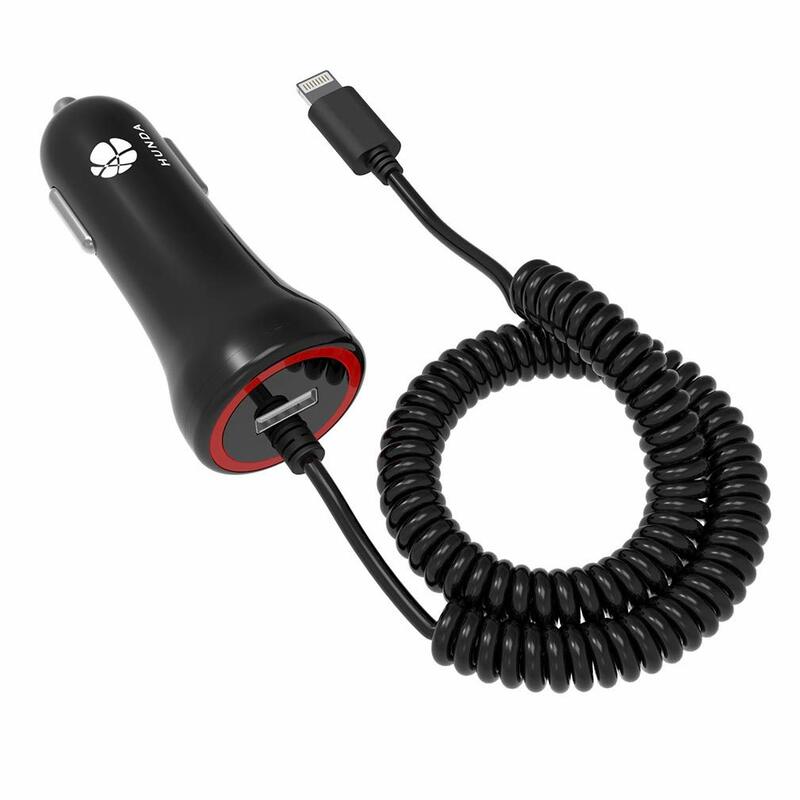 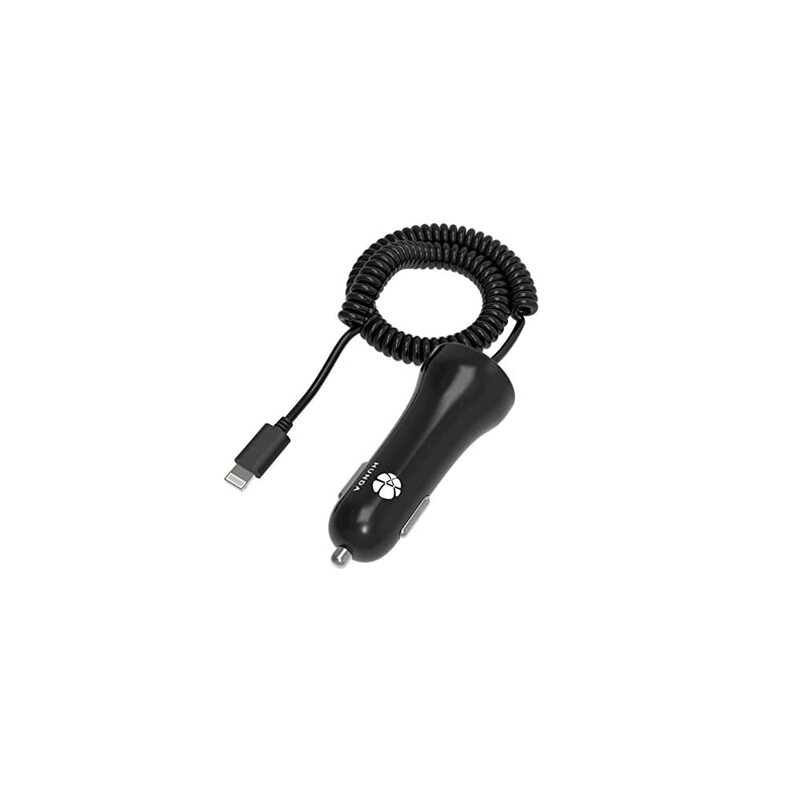 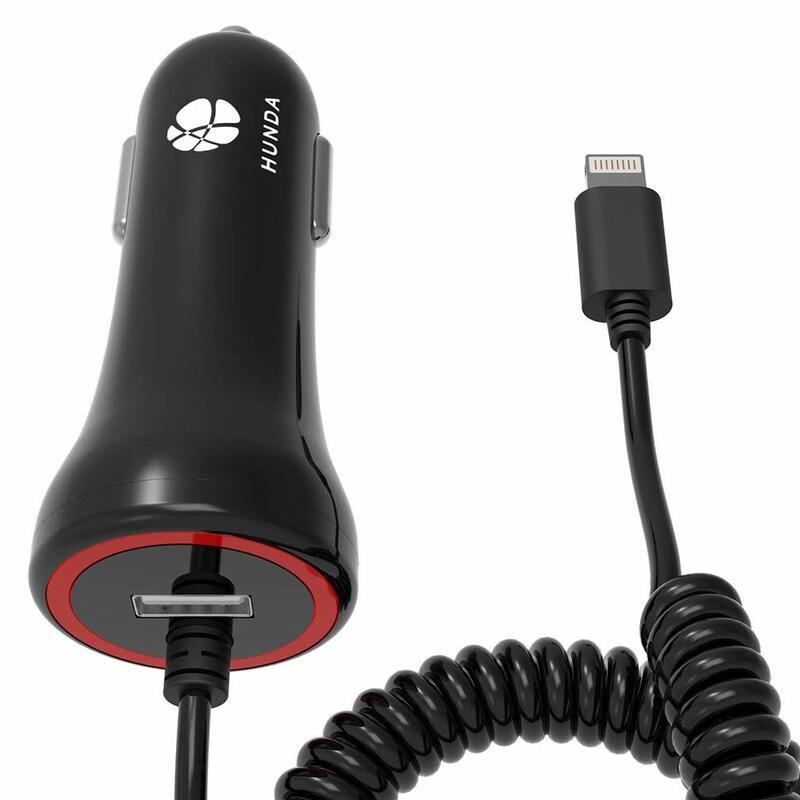 5)What You Get: The HUNDA 24W/4.8A rapid iphone car charger, our fan-favorite 18-month warranty and friendly customer service.